To help you be more empathetic and collaborative. We fall in love in the Toddler brain, the emotional, impulsive, and volatile limbic system, which reaches structural maturity by age 3. We stay in love in the profoundest and most stable part of the Adult brain − the prefrontal cortex, which reaches full myelination around 28. Toddler love is filled with wonder and joy at first, but inevitably reeks of conflict and pain, due to its self-obsession and inability to see other people’s perspectives. Adult love rises from our deepest, most humane values of compassion, kindness, and nurturance, based on the ability to understand our partners’ perspectives. Did you ever wonder how we can be sophisticated adults at work and in friendships, yet struggle at home to maintain simple adult behaviors, like negotiation and cooperation? We’re more likely to slip into the Toddler brain in family relationships because love exposes our deepest vulnerabilities in ways that most of us haven’t experienced since toddlerhood. No one can “push emotional buttons” as easily as loved ones. The best way to achieve Adult brain love is to develop the most important relationship skill. Binocular vision is the ability to hold your partner’s perspectives alongside your own and to see yourself through your partners’ eyes. Only binocular vision can give an accurate picture of any given interaction and the relationship as a whole. No matter how accurate one partner’s perspective might be, it’s an incomplete picture without the other’s alongside it. With binocular vision, you don’t give up your perspective, you enrich it, through a deeper understanding of your partner’s. Only binocular vision allows you to see more deeply into the heart of your partner, while observing your part in the interaction. Only a very small segment of the upper prefrontal cortex goes to objectively analyzing one’s own behavior, and that part gets no blood during emotional arousal. Our brains evolved to track other people’s behavior in interactions, not our own. On top of that, negative emotions feel different on the inside than they appear on the outside. For instance, when we’re resentful, we feel like we’re treated unfairly, taken advantage of, or disregarded, while on the outside, we appear mean and unfriendly, if not demanding. If your partner is misperceiving you, be sure to express your deeper vulnerability – guilt, shame, sadness, fear – rather than the defenses against vulnerability – anger, resentment, blame, denial, avoidance. Such false perceptions are guaranteed to ruin any interaction. At best, they make our partners defensive, at worst, they weaken emotional bonds. 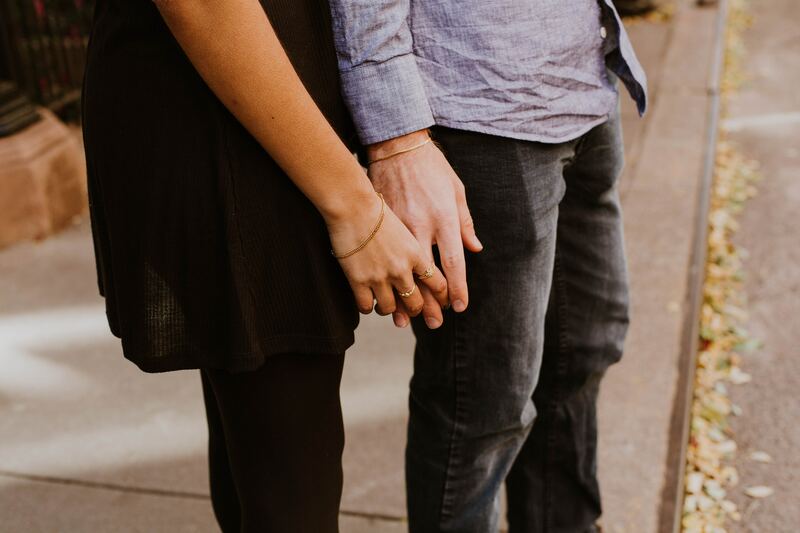 Owning vulnerability and acknowledging your partner’s discomfort gives you both a chance to be compassionate and cooperative, rather than defensive and recalcitrant. It puts you on the the same side in solving the problem, instead of making each other the problem. Rather than blaming each other for bad things, it makes you want to do good things for each other. Adapted from EMPOWERED LOVE (c) Steven Stosny, PhD, January 2018 from Ixia Press, an imprint of Dover Publications. All Rights Reserved, reprinted with permission. How the map of masculinity damages our dads and what you, dad, can do about it.